Need something to do today? Saturday, October 13th head over to the Big Head Brewing 4th annual Spanferkel which also benefits the Wounded Warrior Project. What's a Spanferkel? 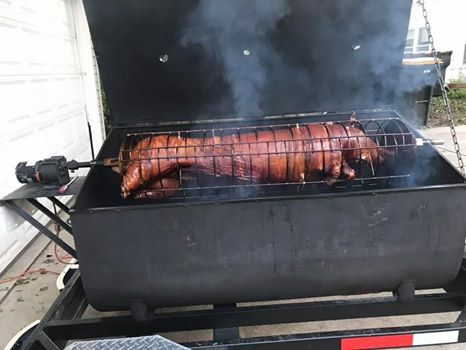 Basically, it's a German pig roast and it will be roasting away and ready to serve at about 12:30 pm. The cost is $5.00 a plate and $1 of that will be donated to the Wounded Warrior Project and Big Head will match all donations. So come hungry. Get in to the spirit of Oktoberfest with a Big Head Oktoberfest mug featuring Big Head Heinrich (or Heinie as he likes to be called) our little German happy-go-lucky beer lover. I hear he's a big Brewers fan too. Get cheaper refills and the mug is yours to keep.